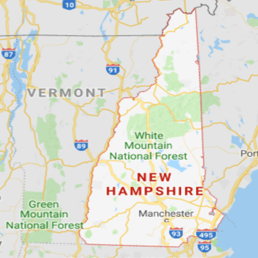 Water can invade your home in many different ways, whether by leak or flood, and when you need assistance, the water damage Franklin experts at 911 Restoration of New Hampshire will be there for you, day or night. No matter what time you call our water damage Franklin professionals, you can always be sure that we will be at your door within 45 minutes, ready to get to work right away. We always use the latest water extraction and drying technology, that way we are able to get your home moisture free in the shortest amount of time possible. Call our water damage Franklin team as soon as you notice any signs of invasive moisture in your household and we will provide you with a free home inspection as we arrive on the scene. When pressure builds up in your plumbing system it can create your pipes to burst, causing water to explode into your home. This can cause extensive flooding, which can saturate your drywall, flooring and other parts of the home. When your household is flooded with water, the severity of the situation greatly depends on how long that water sits on the surfaces of your home. The longer it stays in the property, the more damage will take place. This increased moisture saturation can cause rot, rust and mold. The good news is that all these issues, no matter how severe, can be remedied by our water damage Franklin staff. We have so many years in the industry eradicating both water damage and fungal infestations, making us the most competent workers in the field. Not only that, but we are trustworthy, so you never have to worry about any surprise fees popping up later on down the line during the renovations process. When it comes to water emergencies we never take any chances, so call our water damage Franklin technicians today and we will turn your home into a safe living place for you and your family. We understand that finding yourself knee deep in a flood can be overwhelming, for many different reasons, and we want to be the company that successfully gets you through this whole ordeal. Not only are we skilled in getting your home clean and dry, we are also experienced in working with all types of insurance companies. Our water damage Franklin agents take all insurance, and will even file your claim for you, if need be. Keeping your out of pocket expenses low is something that we will work with you on. So, even if your insurance provider does not provide you with the best coverage, you can rely on us to keep our prices low on all of our services. 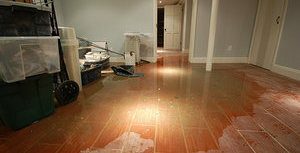 Call our water damage Franklin specialists at 911 Restoration of New Hampshire and we will get your home back on track before you know it.